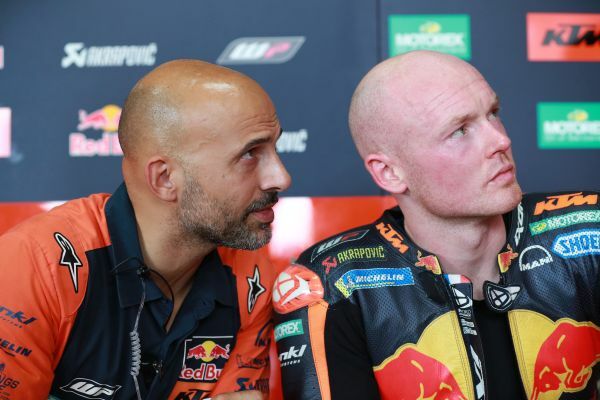 Red Bull KTM saw Bradley Smith and Pol Espargaro capture slots on the fifth and seventh rows of the MotoGP grid respectively after Qualification at a sweltering Grand Prix of Thailand and a first visit to the Chang International Circuit in Buriram. 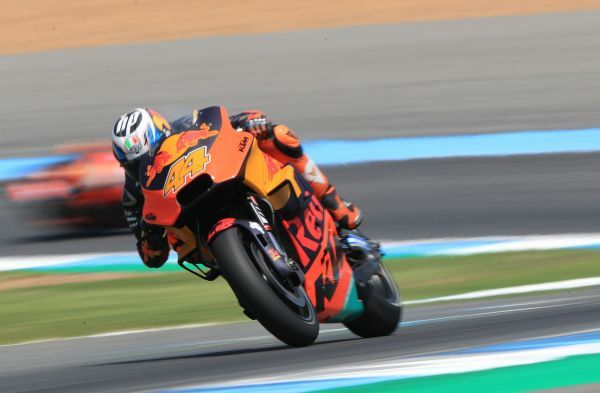 The first of four overseas events for 2018 MotoGP saw the series arrive in Thailand and the flat and twisty layout of the Chang International Circuit provided the latest challenge for the FIM World Championship and for Red Bull KTM Factory Racing Team in just their second term in the premier class. 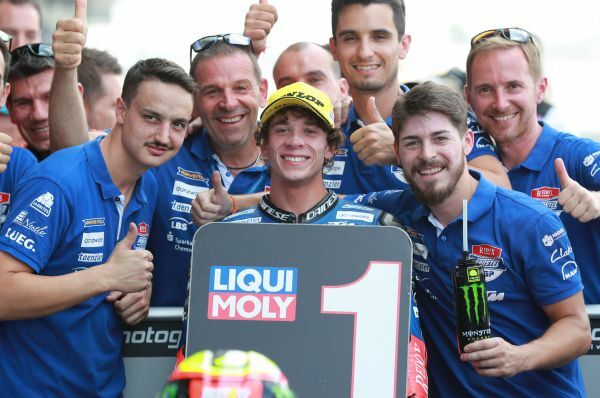 The facility in Buriram has been on the WorldSBK calendar for four years and the course was not completely unknown to the MotoGP pack thanks to their pre-season test at the venue in February. The slick asphalt baked in predictably high temperatures as the fans flocked in droves for the fifteenth GP of nineteen. Bradley Smith hovered mid-pack through FP3 and FP4 and was agonisingly close to pushing his way towards the top half of the field. The Brit was just three tenths of a second from making the cut to Q2 and rested in 15th. Pol Espargaro made his third ‘comeback’ from injury in 2018. 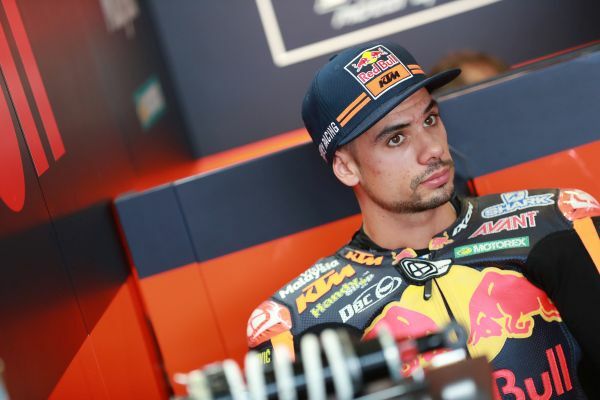 The Spaniard remounted the KTM RC16 after collarbone surgery and after a painful crash in practice at Motorland Aragon almost two weeks previously. Pol missed the pre-season test and therefore had to adapt as quickly as possible, and work on bike set-up in the relatively short time available. At the end of the day he was 17th. Smith: “Another good day and it felt like we were close to the Q2. This track is quite narrow in a few places and I got held up. We are on that cusp of almost making it into Q2 (regularly), we’re around that middle group and it would be nice to crack that next step. We certainly have some ideas and WP will have some suggestions for Motegi. I think it is a set-up thing. It’s something we haven’t touched in quite a while…but it’s complicated. As for tomorrow I’m pleased that the track is in better shape and it is bizarre how the Hard tyre is working better than all the Mediums and I don't know why or how. Espargaro: “A mixed day. When we have cool conditions and grip then I don't have to be so smooth and it is better for me. When the temperature rises and the grip or the tyre drops then I am struggling, especially with feeling a bit weak on the bike after the last few weeks and dealing with a new track. Sebastian Risse (Technical Director MotoGP): “It has not been an easy weekend and this was to be expected, even more for Pol because of his return from injury again and having missed the test and the last phase of development for the bike. It is not easy to catch up. Both riders had to deal with the conditions, together with the tyre allocation and we still have not really got our heads around it. 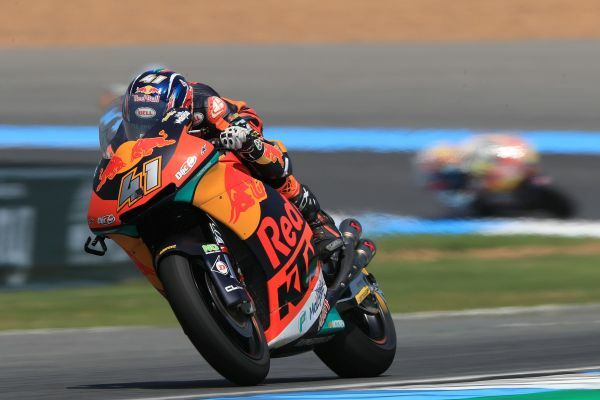 Red Bull KTM Ajo’s Miguel Oliveira and Brad Binder, winner in the Moto2 class last time out in Aragon, were 5th and 7th fastest on their KTM Moto2 bike after Qualifying Practice in the intermediate category. Amazingly the first 21 riders in the final chrono were split by less than one second. Oliveira: "Qualifying for the Thai GP was quite good for us, as we were able to improve on our FP3 time. The lap times are very tight and being able to complete my best lap at the beginning of the session gave me a break. In the rest of the session we were able to try things out with the rear shock absorber, but that didn't help us to improve our time on the last run. The important thing is that I feel very comfortable ahead of the race; all weekend we have been in the top positions, with a good pace, so we are ready to have a good race. It will be a physically tough race but I hope to hold up as well as possible, to finish as high up as possible." 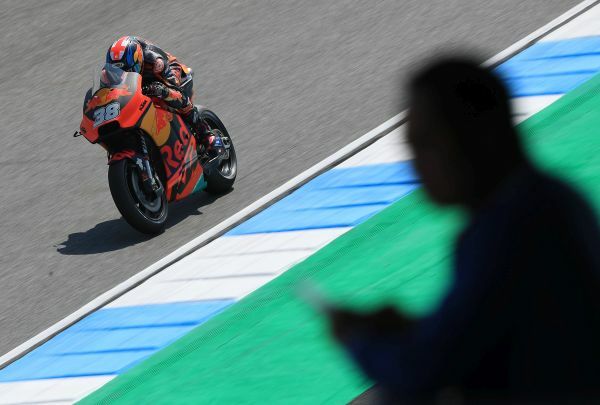 In Moto3 an all-KTM front row by headed by Marco Bezzecchi, ahead of Jaume Masia and Kazuki Masaki; again only one second was the difference between Pole Position and a lot on seventh row of the starting grid. Darryn Binder equaled his best qualifying this season and will start the race tomorrow on his KTM RC250 GP bike from sixth place on the grid. D. Binder: "I am very happy with how this second day has gone here in Thailand. Yesterday afternoon I felt very comfortable and since this morning the feeling has been just as good. I felt strong and in qualifying I knew I just needed a great hot lap -and knew I could do it. This sixth position matches also my best ever result in a Grand Prix qualifying session. I feel ready for tomorrow's race. I think we've worked hard enough over the weekend so far to get a great result."